The first ever in history that a tribal lama dance made their world tour performance. The show had received excellent response in Malaysia, European countries as well as in the United States of America (total 54 performances). S.R.J.K. Jalan Davidson, Educational Fund. 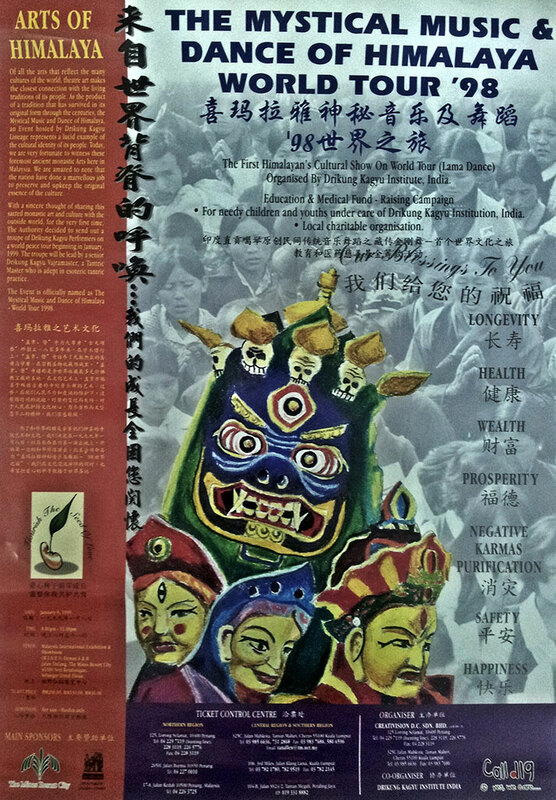 The Kidney Foundation of Buddhist Tze-Chi Merit Society Malaysia. The Free Clinic Section of Malaysian Buddhist Association MBA.